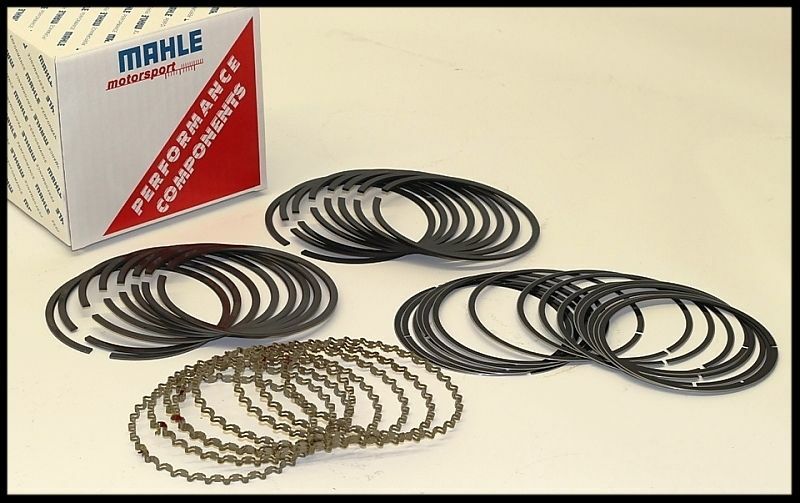 MAHLE HIGH PERFORMANCE FILE FIT RING SET FOR BBC CHEVY ENGINES. 1/16, 1/16, 3/16 4.560+.005 BORE SIZE. STANDARD TENSION. SEE OUR OTHER LISTINGS FOR VARIETY OF SIZES. The 1/16", 1/16", 3/16" sets are a "D" wall construction, so the radial widths increase with the bore size per the calculation listed below. These rings work very well with most pistons on the market, Wiseco, Probe, and many more.